Welcome to my blog! 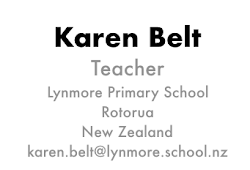 I'm Karen Belt, a teacher and leader of digital learning, working at Lynmore Primary School in Rotorua, New Zealand. I'm teaching in a Year 2 class using iPads to engage and motivate learners and improve student achievement. This blog documents my teaching journey and my learning processes with iPads in the classroom. I've proud of having been a member of the inaugural Manaiakalani Digital Teaching Academy(MDTA) program and last year a Spark Manaiakalani Innovative Teacher (MIT) and Manaiakalani Google Class OnAir teacher. 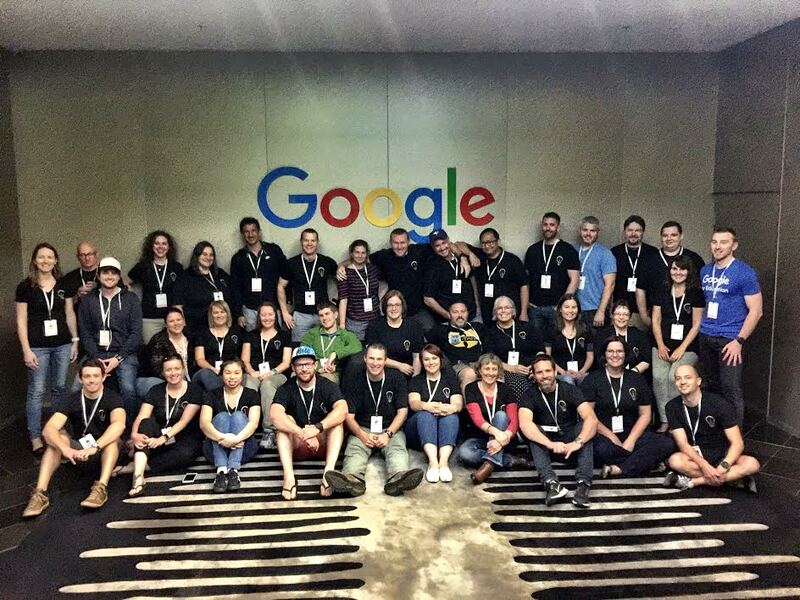 Just over one year ago, I embarked on my journey to become a Google Certified Innovator. My innovation focused on personalised learning and how to make this accessible to all educators. As part of my amazing journey, I spent three days at the Google offices in Sydney, and over this time my innovation evolved and transformed as we were challenged to think outside the square and think big to make it the best that it could be. While in Sydney I reconnected with some colleagues from the past as well as made some new friends from around the world. My group was wonderfully coached by Justine Driver (a fellow kiwi) and I left Sydney inspired, motivated, exhilarated and with a brain full of ideas, wonderings and possibilities for the year ahead. I was lucky enough to get a mentor that understood my reasons for wanting to inspire others to use personalised learning in their classroom and who has challenged and supported me over the past twelve months with a passion for personalised learning that matches my own. I had the pleasure of working with Fiona Grant in my first years of teaching, in the Manakalani Cluster in Auckland but over the past twelve months have had the opportunity to get to know her even better as well as lean on her for support, encouragement, advice and guidance - she really has been the best mentor I could have hoped to get. As the twelve months comes to a close, my project is ready to launch and provide ideas and resources for teachers to use personalisation in their classroom. The website is now live and over the next few months I am looking to promote this across New Zealand and encourage teachers to participate and become part of a community that shares resources in order to save teachers time and makes the most of personalised learning for their tamariki. 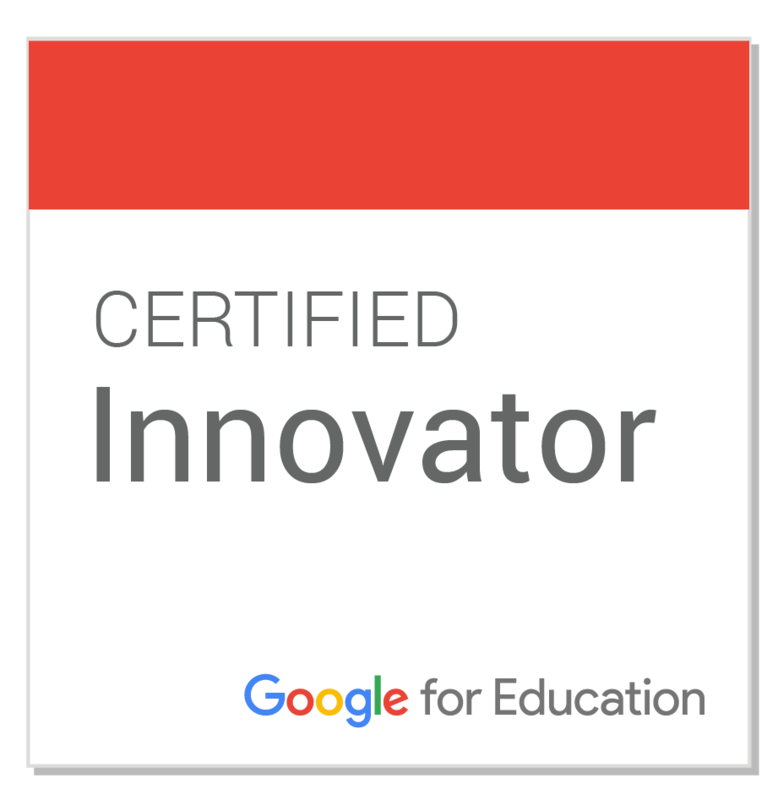 As I look forward to the future and reflect on the past twelve months, it was a privilege to be accepted as a Google Certified Innovator. I met an amazing group of passionate educators from around the world and made connections with I hope will last a lifetime. GCEs are a unique group of educators - they are passionate about education and about helping others. 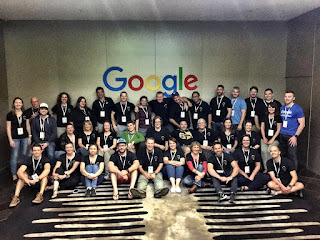 I see this each year at the GAFE summits and through the local GEG group which I am a member of. I look forward to being more active in the GEG group over the coming years and inspiring even more innovative teachers to apply for the opportunity of a lifetime - to be a Google Certified Educator. To the Google Education team, Suan and the team in the Sydney office, my coach Justine and all the coaches of #SYD17, my mentor Fiona, and all those that have supported me on this journey - thank you for the experience of a lifetime! Kai ora Karen, Your thoughts and experiences resonate! The real value of all these opportunities is the connections and networks we create and learn from. I have enjoyed supporting you this year and have been inspired by you and your project. I would also be the first to admit that as a mentor I not only benefited from my interactions with you but also the impact this has had on my own learning and practice. Looking forward to seeing the response to your project and confident that others will appreciate its value.